This is an excerpt from an interview by Robert Pagliarini : Brendon Burchard: Make a Difference (and a Fortune!) Sharing Your Advice. What if you could make money doing what you already know and what you’re passionate about doing? We’re all experts at something. Everyone has their own abilities, skills, and unique life experiences that they can share with others. Why not make a business out of it? 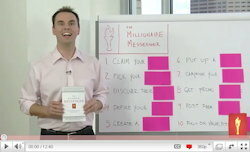 In the following interview, Brendon Burchard lays the groundwork for becoming an expert entrepreneur with advice from his New York Times bestseller, The Millionaire Messenger. 1. You are passionate about. 2. You want to learn about. 3. You’d like to serve. Do you have anything that maybe could help them draw out what they could be an expert in? Brendon: Yeah. One of the easiest ways I found, especially in working with a lot of boomers who come to Experts Academy (the baby boomer generation is the majority of our audience), a lot of them are looking for a second career, or a new beginning, or they’re looking for just more meaningful types of work. And what we found over and over, to ask just this simple question: What do you do now? And then, who else wants to do that, that you could teach? So, for example Robert, you’re a very successful guy in what you do, especially in let say, you know, being a columnist for CBS Money Watch. Okay. Think about this, how many other people in the world would love to be a columnist for a major media outlet? Every kid in journalism in the world would love to learn how to do that. But that’s something you just do. Those things that you just do, if you put that together in a DVD program, let’s say, for $97 to teach people how to do that. Well, if you sold a 100 of those a month, that’s $9700 of income a month just teaching what you already do and know to people who want to learn how to do the same. Robert: That’s a great strategy, to figure out what it is that you currently doing and that, again, I think for a lot of people they think, “Oh, well, you know, it’s no big deal. It’s easy. I just do it.” You know, you don’t even think about it. Photo: author Susan Delain at a book signing. Writing fiction or non-fiction is also an entrepreneurial venture. 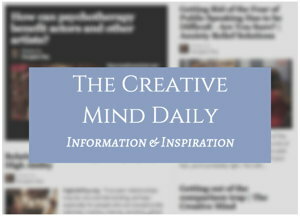 For related articles and resources, see my site The Inner Writer.